We have a proven track record of consistency in providing reliable and cost-effective mobile crane hire Perth wide. Our highly specialised heavy lift division has been a part of some of the most substantial lifts in Western Australia. Let us help you eliminate risk by combining our services and providing you with the total solution. We also cater for heavy equipment which may need to be placed into areas which are not accessible by a mobile crane. 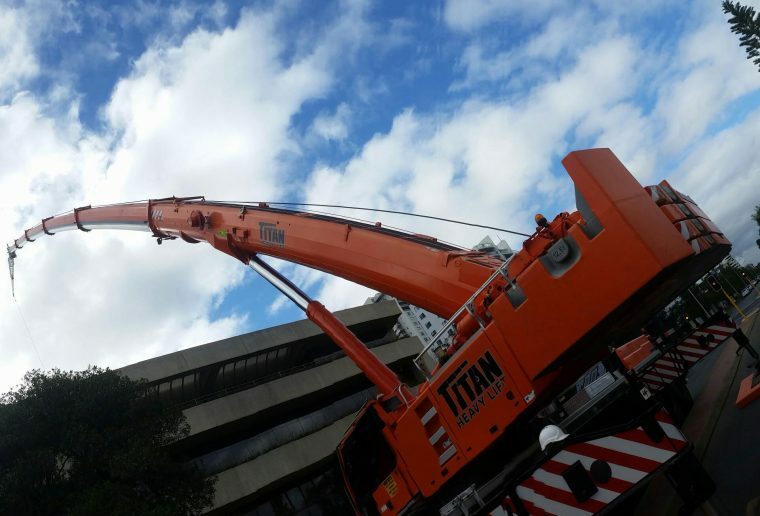 Titan Heavy Lift is a privately owned and operated West Australian company whose professional and highly motivated staff have more than 50 years’ combined experience across all aspects of crane operation and crane hire Perth wide. Utilising a fleet of modern Liebherr and Terex Franna cranes at our South Guildford and Welshpool depots, Titan offers a one-stop service for all your lifting needs. Hence our ability to provide cranes from 15 tonnes up to 500t. Titan offers a 24/7 service and prides itself on delivering an efficient, safe and reliable outcome for customers. Don’t hesitate to contact us to discuss your lifting needs, or phone (08) 9378 2079 24/7 to speak to one of our friendly staff. From planes, trains, to tower cranes Perth wide — we have the solution. Because of this our highly diversified mobile crane hire division caters for all your lifting requirements. If spacial confides present a barrier, Titans jacking and skating team have the answers. As a result we can cater for commercial fit outs, service rooms and warehouse installations/removals, heavy or delicate. Therefore Titan accommodates for chillers, boilers, presses, transformers and switch housing.